I have fit in a few new recipes, other than just cookies and sweet treats, this month and this cheesy, creamy, crowd pleasing hashbrown casserole was one of them! 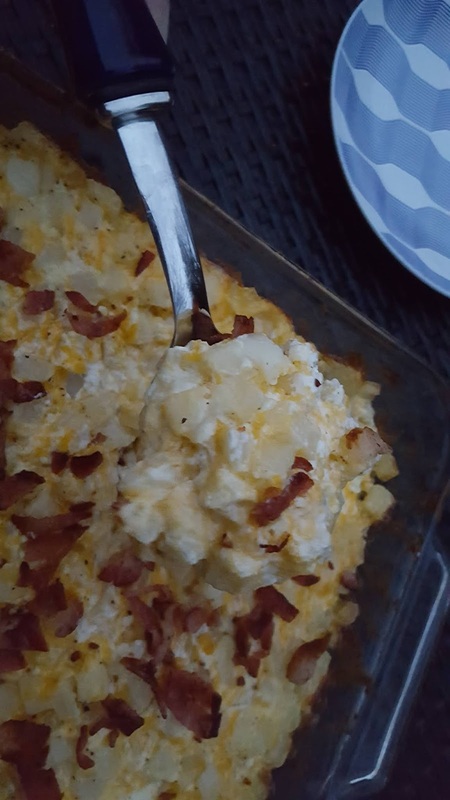 It tasted very much like a "Loaded Baked Potato" casserole with that creamy cheesy, sour cream flavored sauce, and the addition of the bacon pieces on top. Feel free to sprinkle on some green onions too if you like them! This would be great at a potluck. Easy to make ahead and pull out to bake when you're ready as well - which is always a time saver! Preheat oven to 350 degrees. Spray a 9x13 baking dish with non-stick cooking spray. 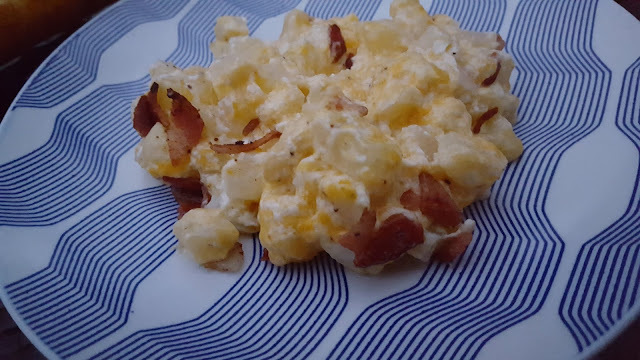 Combine all ingredients, except bacon, in the casserole dish and stir gently to combine. When evenly mixed, smooth out the top and bake in the pre-heated oven for 45 minutes - 60 minutes, or until bubbly and lightly golden brown around the edges and top. Meanwhile, cook the bacon over medium to medium-high heat until crispy. Drain on paper towels, then rough chop into desired sized pieces. 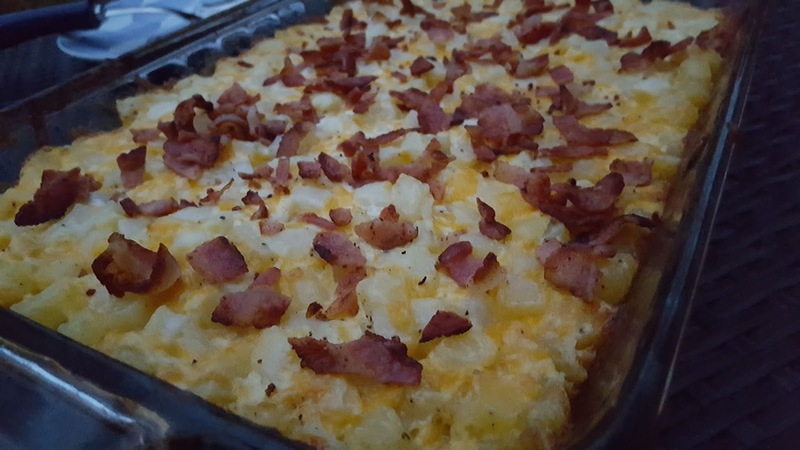 When casserole is baked, remove from oven and sprinkle the chopped bacon over the top before serving.